Wilkinson Environmental have developed bespoke jets combined with specialist sewer cleaning techniques to unblock sewers and drains under attack from hydrogen sulphide without causing them to collapse. We recently assisted a contractor remove a 100% blockage in a main 525 sewer which was under attack from hydrogen sulphide in Peterborough allowing the existing pipework to be successfully relined. When Hydrogen Sulphide (H₂S) is present in sewers it can create a foul smelling ‘rotten egg’ odour, hazardous work conditions for drainage crews, plus accelerate the corrosion of valuable water authority assets including causing damage to clay, concrete and pitch fibre sewers as well as, pump station wells, treatment plants and discharge manholes. Hydrogen Sulphide is a dangerous gas which, at high levels, can cause loss of consciousness and even prove fatal to drainage industry workers. 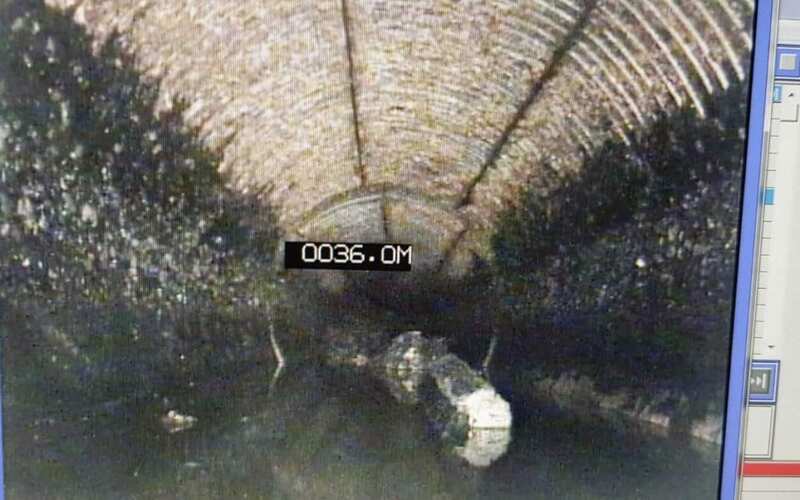 Corrosion in sewer pipework occurs when hydrogen sulphide gas reacts with the moisture present on the sewer wall causing it to form a caustic sulphuric acid, which destroys concrete, steel, pitch fibre and clay pipes within wastewater environments. Hydrogen sulphide is a colourless, flammable and extremely hazardous and can lead to costly and extensive damage to metals including uniform corrosion and pitting. Sewer pipes under hydrogen sulphide attack can be extremely fragile and wafer thin in sections, so conventional sewer cleaning methods with powerful recycling jet vacs can destroy what pipework is remaining and potentially cause is to fully collapse. Wilkinson Environmental based in the Midlands, offer a UK wide specialist drain cleaning service for sewer networks under attack from hydrogen sulphide. For more information please contact us directly.